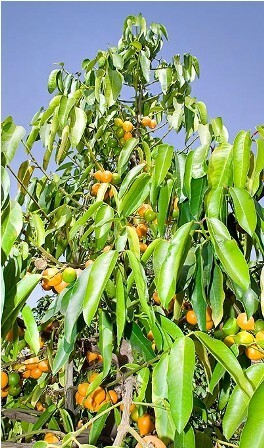 Synonyms: Garcinia tinctoria, Xanthochymus pictorius. 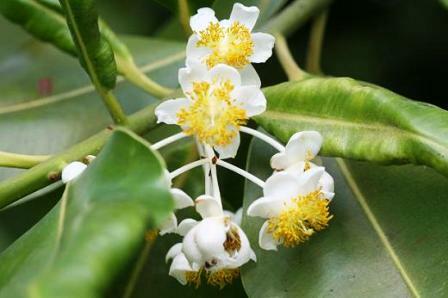 COMMON NAMES: Eggtree, Gamboge Tree, Sour Mangosteen, Cochin-goraka, Dampel, Jharambi. False mangosteen is believed to be a native of India and Burma. 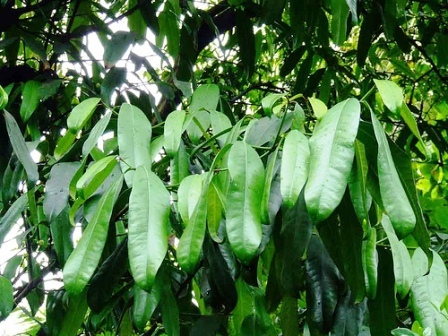 It is found widely distributed in the hill forests of the Eastern Himalayas. In India, it is also grows wild in the hills of the South India. The fruit has travelled now to many other parts of the world and is planted by collectors in their gardens. Leaves large, leathery, shining, 25-40 cm long, 4-10 cm broad. Fruit yellow when ripe, smooth, globular, 2-3.5 cm wide, with a prominent beak more or less on one side. False mangosteen fruits have a juicy pulp with a pleasant acid flavour. These are eaten out of hand. These are also made into preserves and jams. 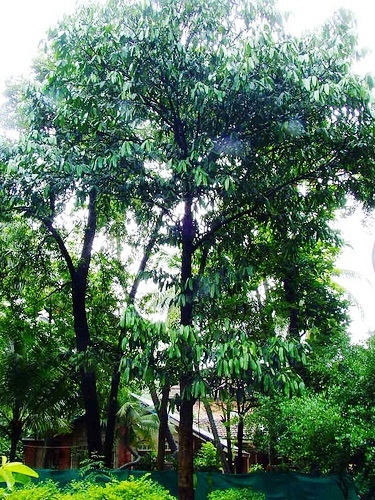 The pulp is also used as a condiment in place of tamarind for curries. The fruits are also used for making vinegar. The fruits are also dried and used later. A sherbet made from the dried fruits is given in bilious condition. An inferior gamboge is obtained from stem of three or fruit rind. 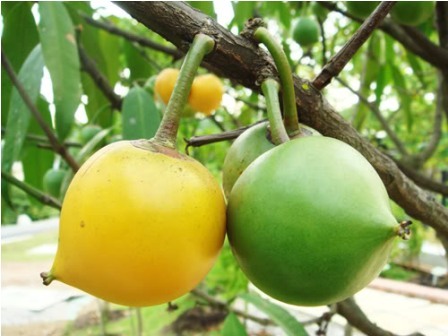 The exudation from the under ripe fruit, which is yellow in colour, is used as a dye in the Indian state of Assam. This tree grows very vigorously and can adapt to a variety of soil types. False mangosteen is a heavy bearer and sometimes even bears two crops a year. The tree comes into bearing after 4-5 years. It prefers sunny locations. The seeds germinate readily. False mangosteen seedlings are also used as rootstock for grafting mangosteen in India.